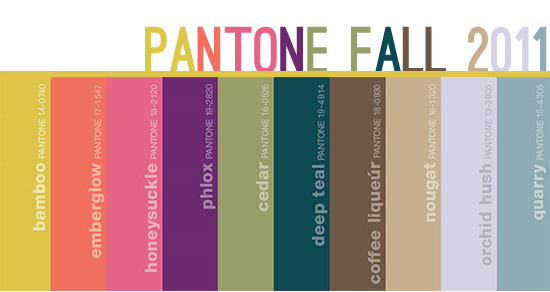 I'm really loving Pantone's Fall 2011 color report, which they describe as "sensible and spirited." Kind of sounds like the perfect combination to me. I'm pretty fond of the cedar, deep teal, nougat and quarry; pairing bold and neutral colors together always wins in my book. But being yellow's #1 fan and all, bamboo stands out out as my very favorite. 1. Gorgeous bamboo colored coat from Orla Kiely's fall 2011 collection. 2. Beautiful golden autumn tree photograph via Flickr. 3. Golden Holga camera from Rugift. 4. Cole Haan hand-painted Oscars for Fall '11 (*amazing). 5. Pretty mustard colored notecards from Felt & Wire. Which color is your favorite for this fall? The winner of the Accessory + Art Giveaway will be announced right here tomorrow, so be sure to check back! Those trees are perfection! I used to have a tree outside of the little bungalow I lived in years ago that turned that very color in Fall! I would wear Orla Kiely always every day if I could afford it:) I also have been obsessed with mustard and yellow in general for the past couple of years. ohh i love the collection of bamboo colours! that holga is so cute! My favorite is bamboo as well. 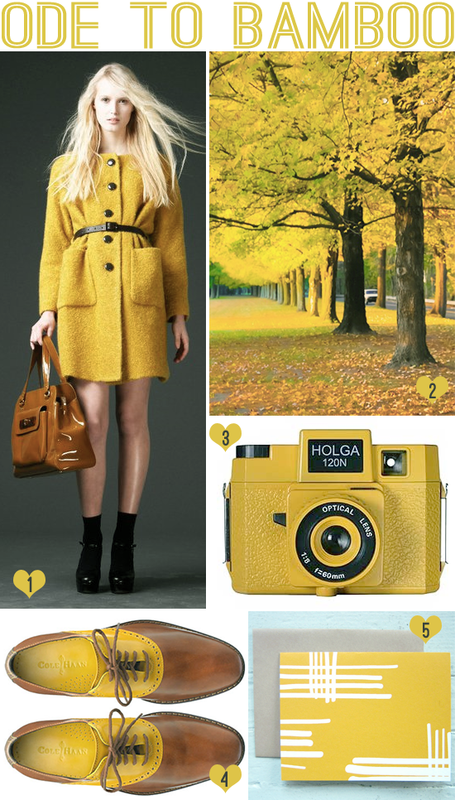 Yellow, yellow, yellow :) that coat is beautiful! Love your bamboo pics -- but my favorite is on the other side of the color wheel - Phlox. I love bamboo! And I need those shoes! I am loving the palette, quite the dreamy style.